Sprint will stop offering unlimited 4G data for tablets, laptops USB cards, and mobile hotspots starting next month--effectively eliminating unlimited data for all devices except smartphones. Sprint was already capping 3G data on mobile broadband devices, but it still allowed unlimited use of its WiMax network. Starting in November, 3G and 4G usage will be combined into tiers of 3GB, 5GB, and 10GB for mobile broadband, with a flat 5 GB cap for smartphone tethering. Going over your plan's data limit will cost you 5 cents per megabyte, so users won't pay much extra for slightly exceeding their limits. However, this translates into a staggering $50 per gigabyte. AT&T and Verizon Wireless, by comparison, charge just $10 per gigabyte for going over your plan's limit. Mobile broadband users especially will have to monitor their activity carefully and adjust their plans to avoid bill shock. 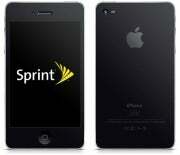 The big question now is whether Sprint will nix unlimited data for smartphones as well. This seems unlikely to happen in the near future, considering Sprint's main market advantage is unlimited data--a perk that the Now Network loves to advertise. Still, Sprint is dealing with high demand on its network thanks to the iPhone 4S, and some Sprint users have already complained of slow data speeds. Sprint may soon feel the same pressure that caused AT&T and Verizon to curb data use, especially as the carrier moves from WiMax to 4G LTE.